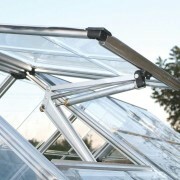 The Palram Automatic Greenhouse Vent Opener is an essential greenhouse accessory that helps to maintain the ideal growing temperature in your greenhouse. Simply set the thermostat at the optimum temperature and then when the temperature in the greenhouse starts to exceed this, it automatically op..
Palram Shade Kit Control and reduce sunlight exposure with this effective shading kit. Features: Protects from strong sunlight exposure Easy to set up Can be easily repositioned Hangers for setting up included Easy to maintain This shading kit is easy to install and can be eas.. 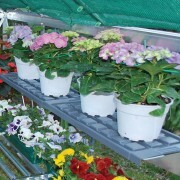 The Palram Greenhouse Shelf Kit consists of two 26cm (10in) deep polycarbonate shelves and three aluminium shelf brackets that attach to the aluminium frame of the greenhouse, providing you with a length of 126cm (49.5in) of shelving that can hold up to 20kg (44lbs) in weight, ideal for potted plant..
Palram's Irrigation Kit helps to keep your plants healthy with an equal and controlled dispersal of water from all its droppers. 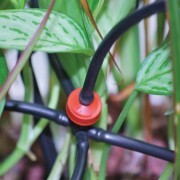 This great value kit includes 10mm Drip Lines, 16 Droppers, 3/4" Adapter and a 4T Connector 4/6mm. 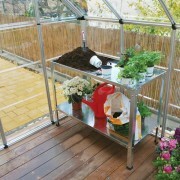 Features Controlled Watering System Pressure Regulator and Fi..
Steel Work Bench A smart, comfortable and heavy duty greenhouse work station for your plants. 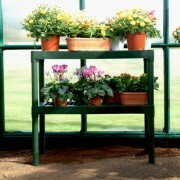 This 2 Tier adjustable Steel Work Bench is the perfect shelf for organizing space in your greenhouse, providing a potting working area with a storage shelf below. Features: 2 tier shelving..
Trellising Kit Pro Provide your vining vegetables the best treatment they deserve and you will save precious trellising labor time Some plants just need a little help growing up! 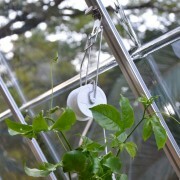 That is why Rion offers you a choice of trellis to optimize the growing of these plants with style. Garden trellisin.. This Two Tier Staging from Palram will provide the perfect place to both pot up and stage your plants and is easy enough to be moved for the changing seasons. Assembly is quick and easy; allowing you to create a well organised space in no time. Features Potting and Staging Bench Strong an.. 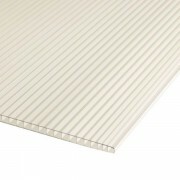 Easily convert your glass greenhouse into a safe polycarbonate greenhouse these sheets are simple to cut with a fine toothed hand saw. Or build a timber frame and glaze it with our simple system. 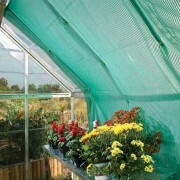 These are suitable for the sides of a greenhouse or cloches and cold frames.